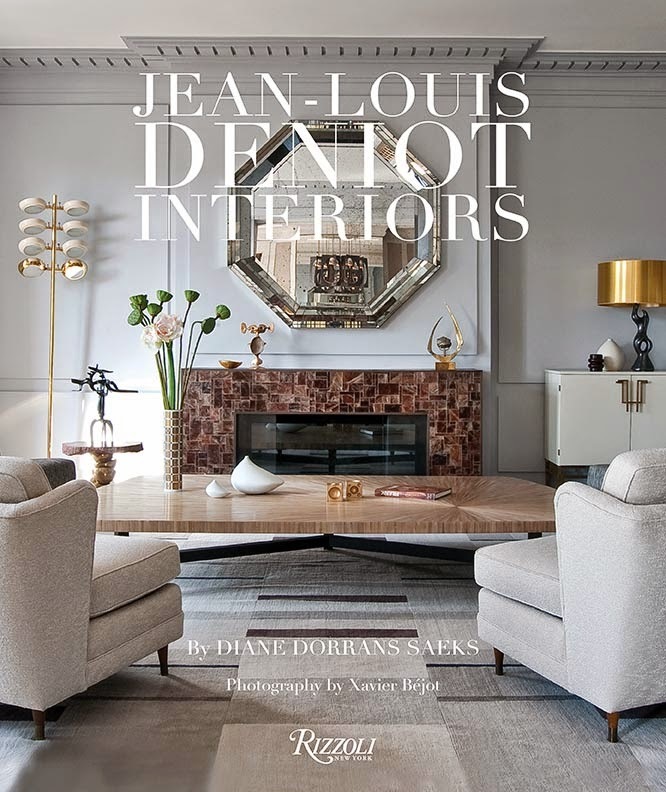 Come with me to see the latest and newest design reference books—including a frisky and opinionated volume from the great London decorator, Nicholas Haslam. 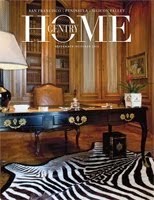 This week you will discover the fantastic monograph of the very insider Geoffrey Bennison. The chic Anouska Hempel offers a rich feast of her greatest hits in a book devoted to her illustrious career (she’s even included her legendary classic Turkish sailing ship). And I discovered a juicy new edition of a classic volume on Havana Art Déco just in time for your trip to Cuba. It’s three great Brit decorators—with a Cuba Libre to go. 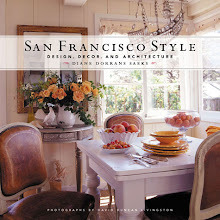 Take a break and discover my selections of the best new design/style books. Next week, more delicious discoveries on Part Two. 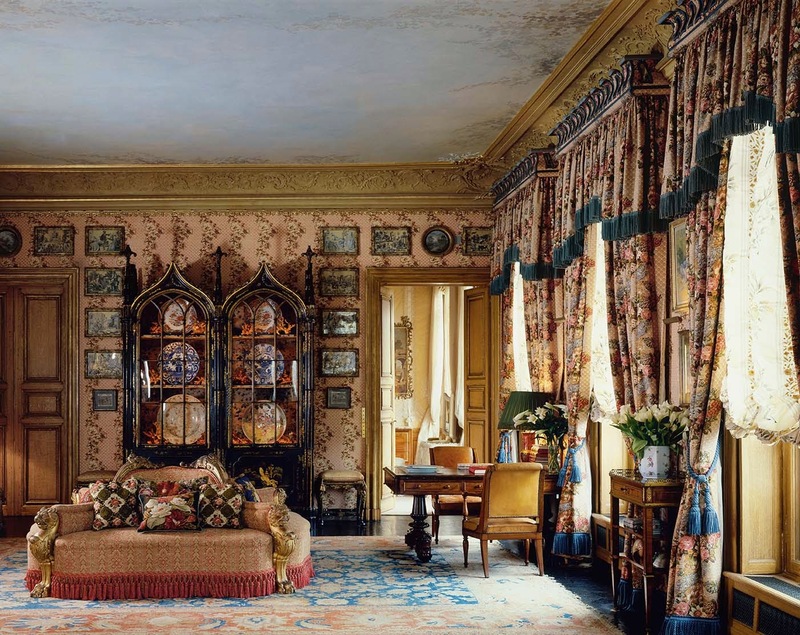 English interior designer Nicky Haslam has crafted a fantastic five-decade career designing classic and alluring rooms and gardens. 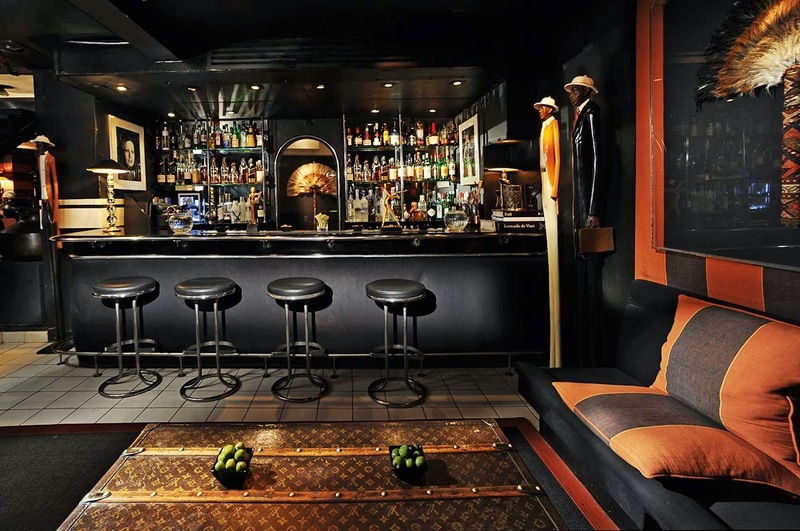 He’s written many design books and an autography, has designed fabric collections and furniture, and is also an occasional recording artist, a painter, and an alluring performer of Noel Coward songs at London nightclubs. 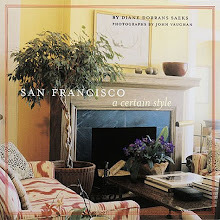 NICKY HASLAM: A DESIGNER’S LIFE: An Archive of Inspired Design and Décor By Nicholas Haslam. 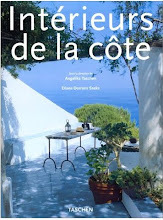 Hardcover / 350 pages (Rizzoli). 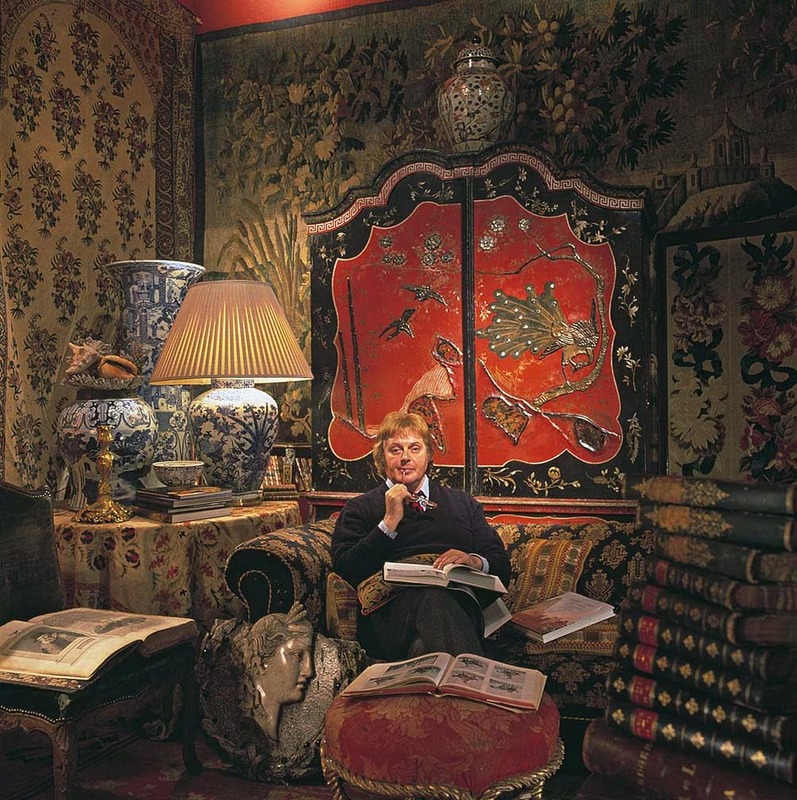 It’s a vivid and lively scrapbook of Haslam’s life, from happy memories of childhood, to his years working with Diana Vreeland in New York, his country life, and always his beautiful and inspiring rooms and décor. It’s gossipy, colorful, and luscious. 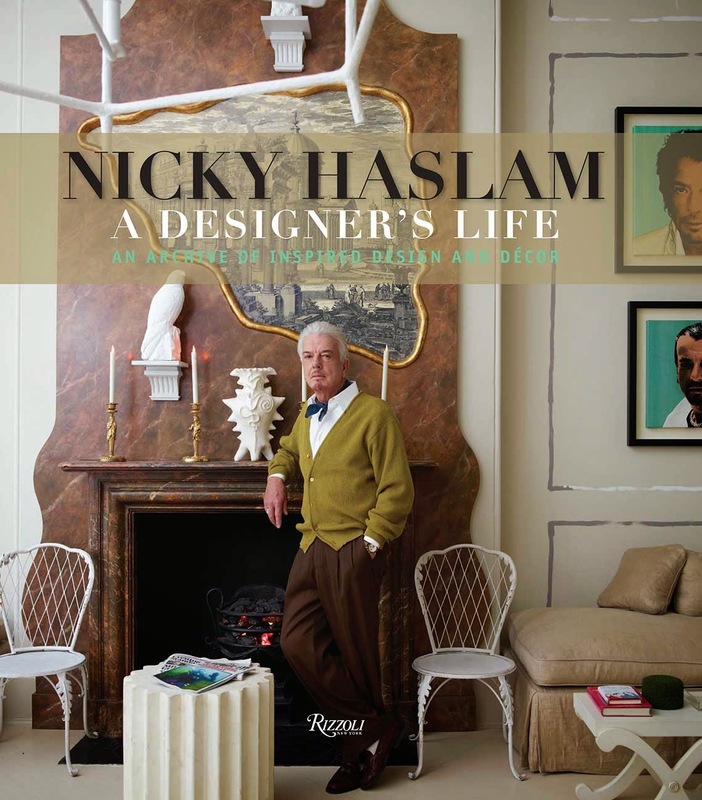 Nicky Haslam (I wrote about his highly entertaining autobiography, ‘Redeeming Features’ earlier) has designed interiors for an ultra- high-profile clientele including Mick Jagger, Bryan Ferry, Ringo Starr, Rupert Everett, Charles Saatchi, and Lord and Lady Lloyd Webber, as well as social figures and philanthropists who prefer to live very private lives. 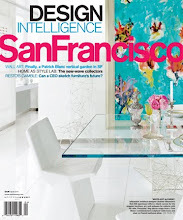 He’s met everyone fabulous, including San Francisco’s own jet-set darling, Denise Hale. 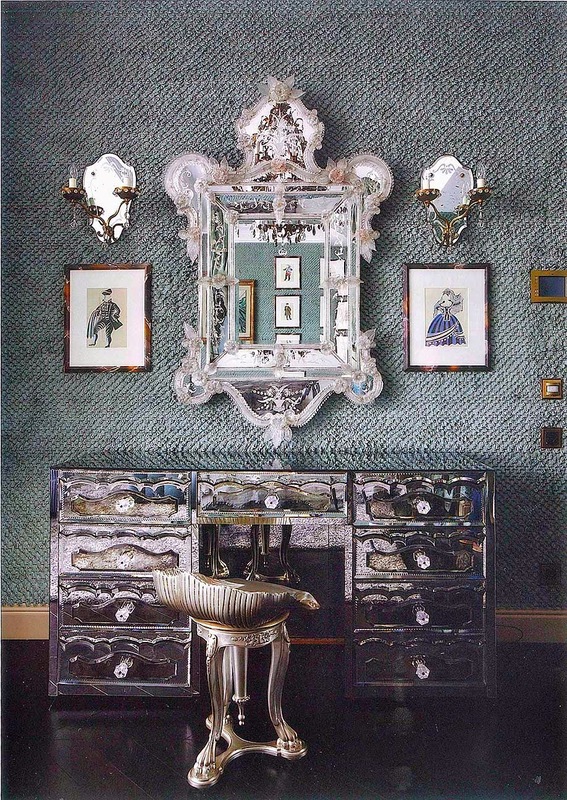 Congeniality and timeless glamour are always part of Haslam’s success—and he is the master of the elegant room, the classic-chic décor. 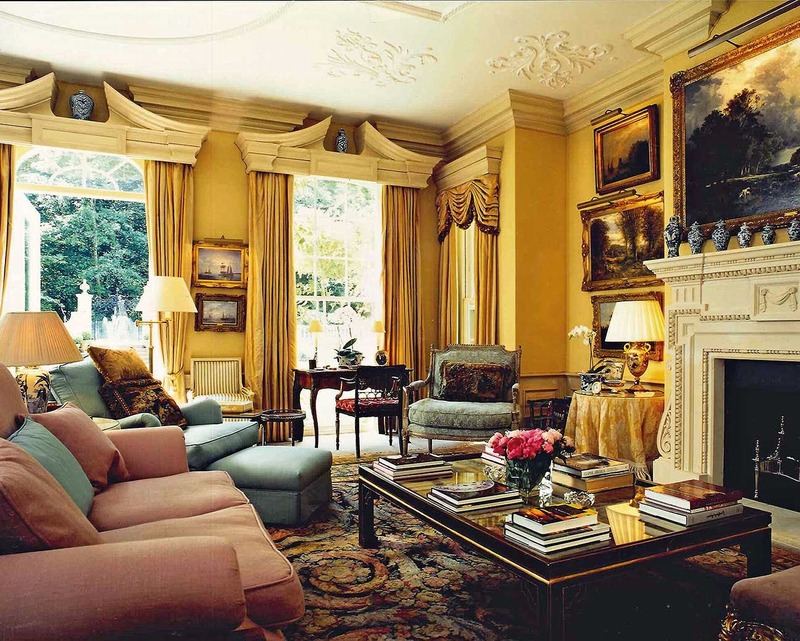 His timeless approach ensures that the rooms he designed thirty years ago are still inspiring, alluring, and fresh. 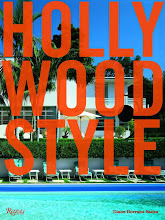 This is a witty and chatty book to read in bed, to add to a design library, to peruse and study. 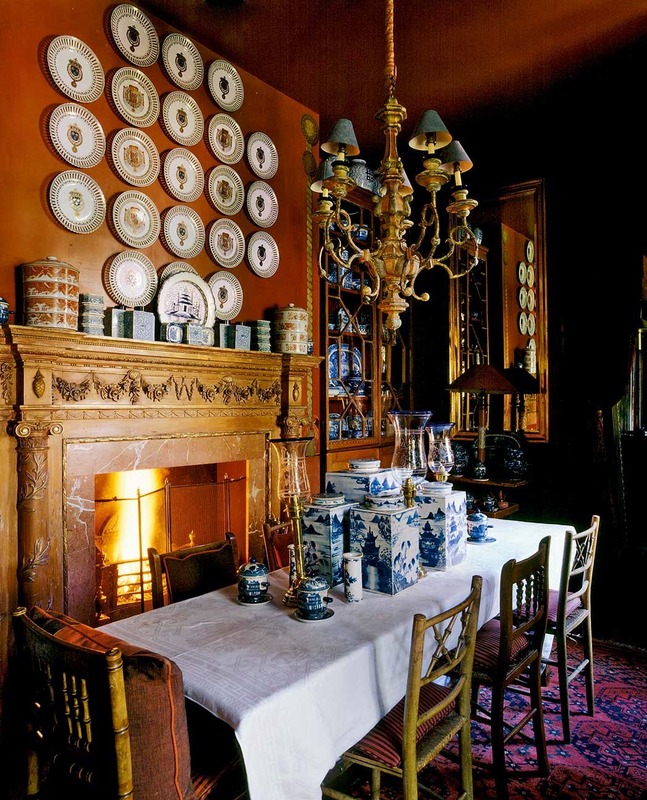 He’s culled photographs, magazine clippings, paintings, and printed ephemera from his scrapbooks – along with the best of his decorating and gardens. Highly recommended. Geoffrey Bennison was and remains one of the most influential English designers you’ve never heard of. 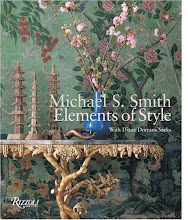 That is, unless you work in the esteemed design studio of Michael S. Smith, who launched his design career several decades ago with his own super-polished and deftly designed rooms that paid elegant homage to the tea-dyed, faded country gentry look that Bennison first perfected. Smith saw in Bennison a master scene-maker—and even three decades later, Smith’s superbly polished rooms appear to closely shadow Bennison’s worldly and low-key examples. 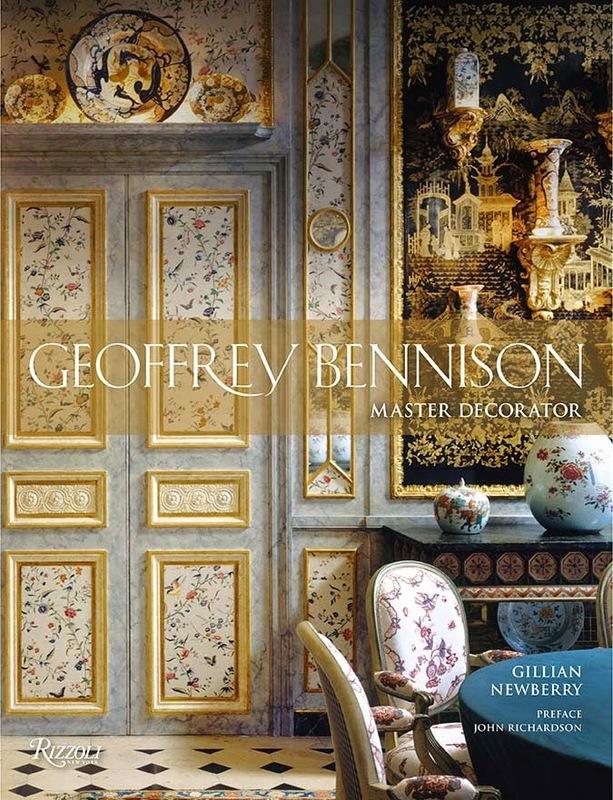 GEOFFREY BENNISON: MASTER DECORATOR By Gillian Newberry, with a Foreword by Sir John Richardson (Rizzoli New York) is the most beautiful tribute to genius Bennison. It’s luscious with images and ideas. 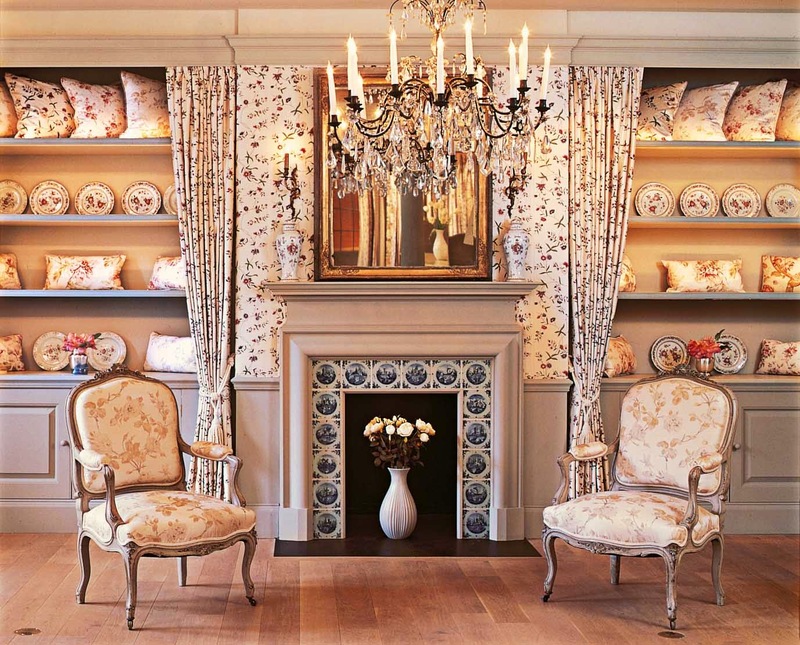 It’s a feast of fabrics and softly faded tones, and highly understated designs. Beautifully edited, the book is a masterpiece. I’m so impressed with the quality of the editing, writing and imagery. Designers and architects, in particular, should keep two copies on hand at all times. Make that three. I just wish the late Mr. Bennison could be here to enjoy the fuss—and to sign some books. 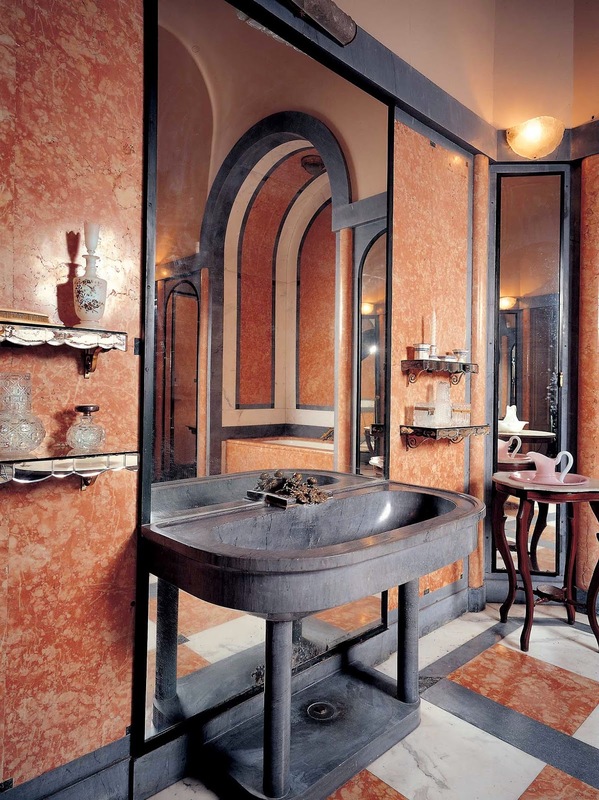 The key element of Bennison’s designs is that they have the whiff of age and time. They look as if they had been assembled over many centuries or decades by a connoisseur and editor. They never seem all-new and shiny. Geoffrey Bennison (1921–1984) ranks among England’s most influential designers, in the pantheon of British greats such as John Fowler. Defying conventional notions of style he conjured up magnificent settings for clients who loved his theatrical and romantic sensibility. 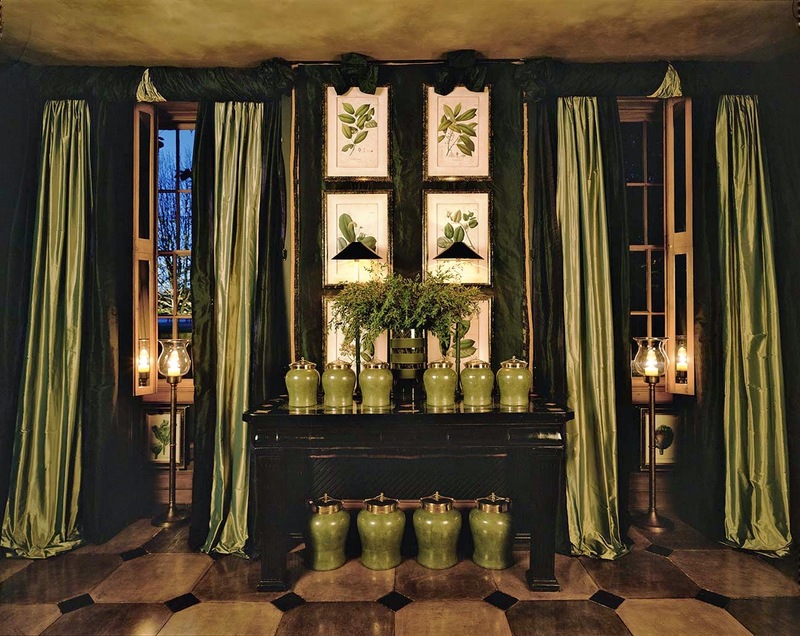 He used antique textiles, and designed a collection of his own fabrics to achieve a complex mix of scale, pattern, and color that changed the way designers and clients on both sides of the Atlantic arranged furniture and did up houses. 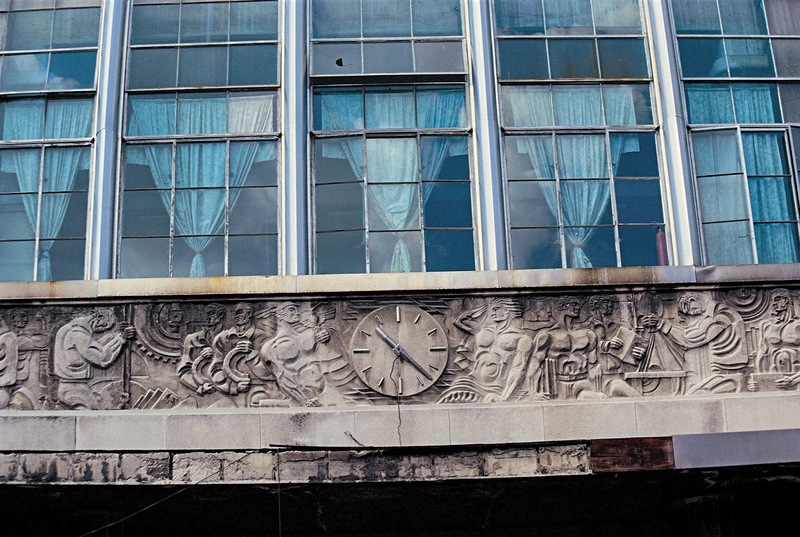 Bennison’s talent, very retro at first, was to combine eclectic objects with an unerring eye. 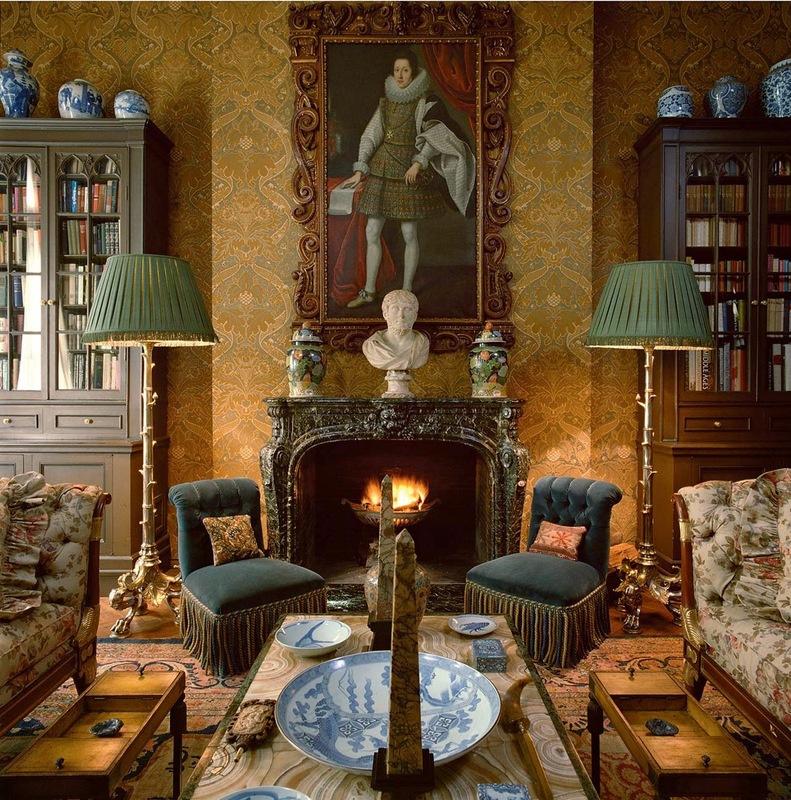 He was earlier an antiques dealer and set designer, and his deep knowledge of antiques earned him a reputation for sophisticated originality. Even today, leading designers turn to Bennison for inspiration (with no attribution, of course). This lovely book is a classic reference, covering Bennison’s career, his greatest hits, his ideas and likes and dislikes. I could not be more impressed. Gillian Newberry, the author, founded Bennison Fabrics in 1984. Designers, I propose gathering up three copies. One for the office, one for the bedside table, and another to fill with notes and Post-it notes, to hide in a desk drawer. It’s unexpected—and totally insider. Highly recommend. 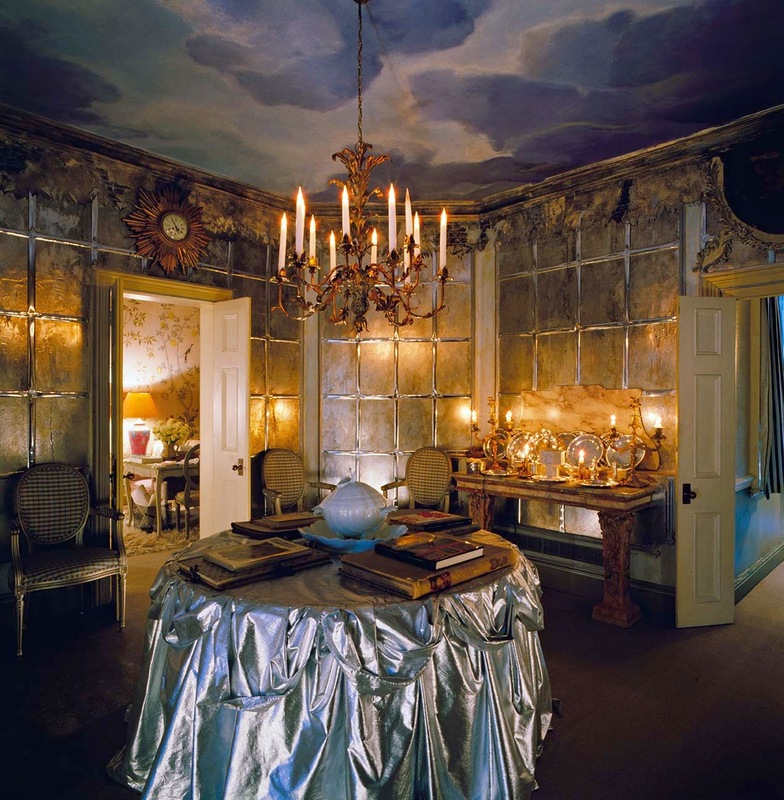 Anouska Hempel is one of the most emulated and admired designers…who like Geoffrey Bennison, you’ve seldom heard of. She doesn't do personal appearances, and never seems to have promoted her designs or careers. Discretion is her motto. 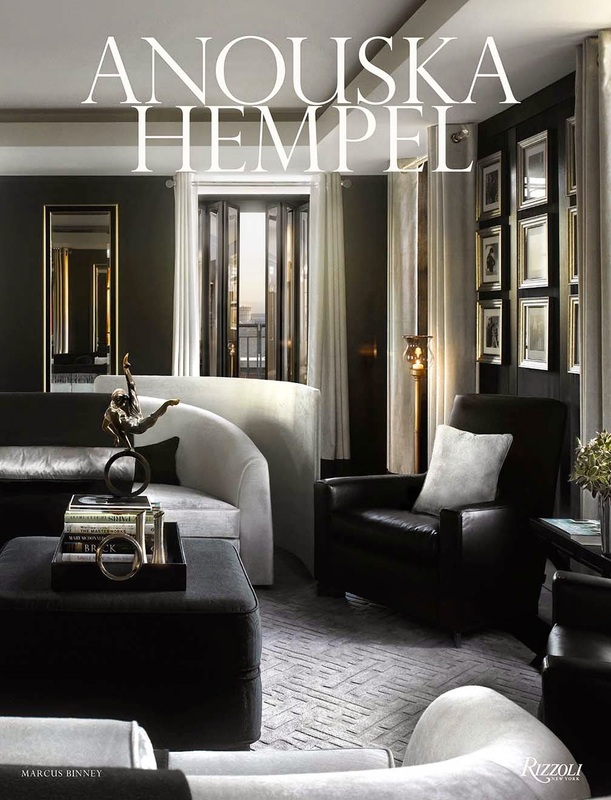 Her biography, ANOUSKA HEMPEL by Marcus Binney (Rizzoli) is delightfully whimsical—and her lacquered and polished and highly detailed are among the most thought-out in the world of design. I’m rather drawn to her life and career. She, like me, grew up in the beautiful countryside in New Zealand always dreaming of more glamorous centers of action like London and Paris. 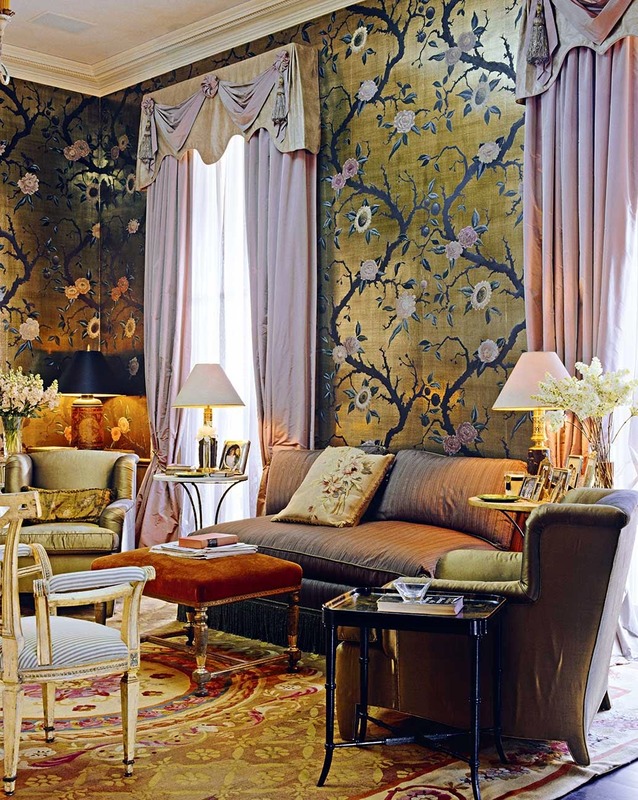 She arrived in London—and has been a design star since, dreaming up a series of ‘must visit’ hotels like Blake’s London and Blake’s Amsterdam, and The Hempel, all style-setters in their day. 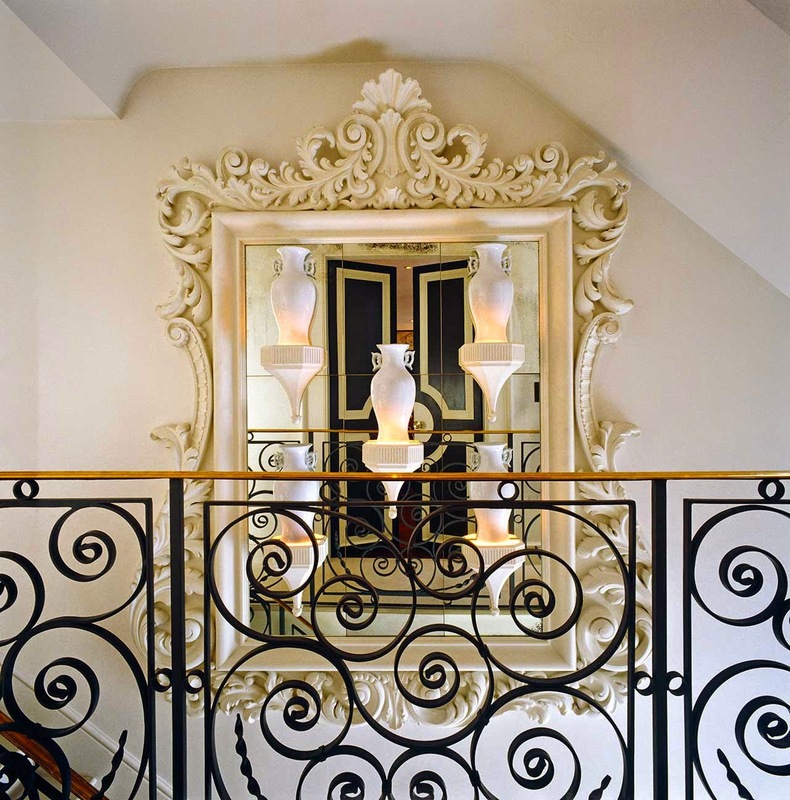 Hempel, still essentially based in London, has designed mansions and interior swimming pools, gardens and weekend chateaus for clients, but it must be admitted that the best rooms, highly detailed, are for herself. 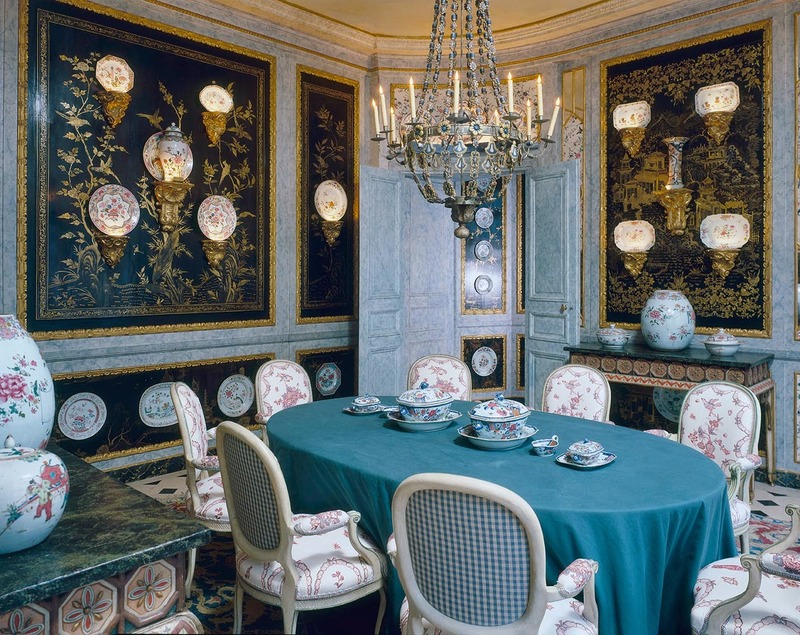 With her own rooms, she is free to gather lacquered urns, lamps, Chinese antiques, Russian bronzes, and sleek chairs and tables, into tableaux of astonishing beauty and plush severity. 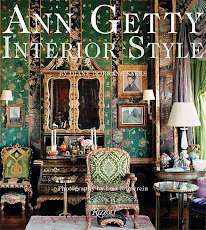 Hempel’s monograph, which covers a diversity of country houses, city mansions, hotels, product, furniture and eclectic commissions—even her yacht—is one to study for artful layers, for color tonalities, and for the polish and perfection of her décor. Certainly, this is an essential book for a lifetime design and study library. 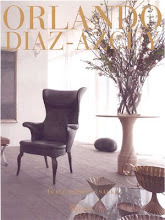 I was surprised and delighted to see a reprint of Havana Déco among the new Spring 2015 books. 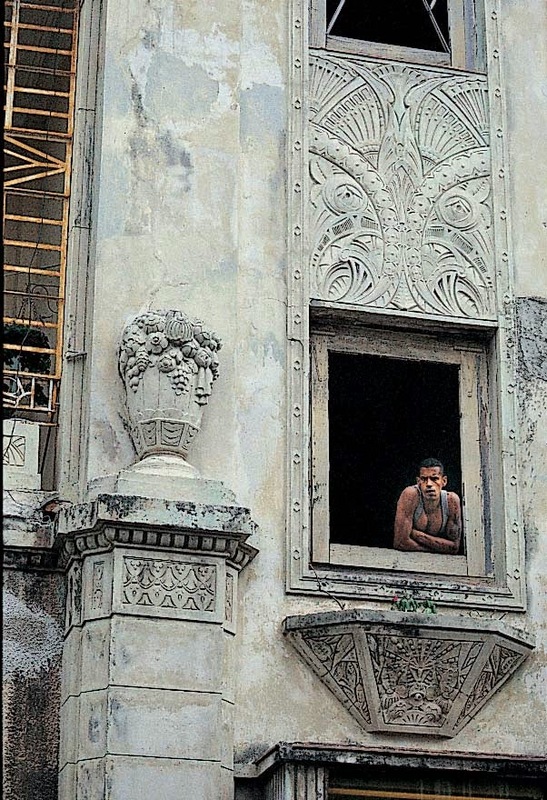 Fist published in 2003, ‘Havana Deco’ is still compelling and focused. Clever W.W. Norton and Company has quickly rushed it into print as Cuba/America relations have quickly warmed and every designer and architect has plans to head down to the Caribbean post-haste. 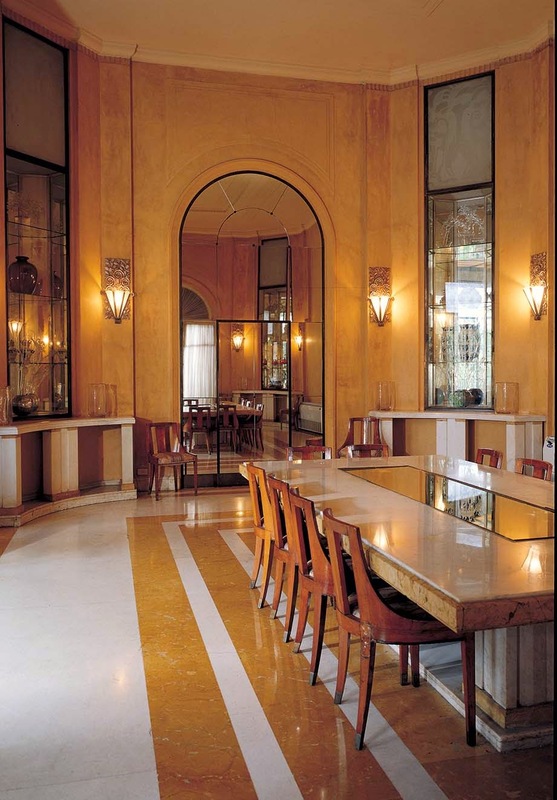 It covers the French Art Deco that became popular in Havana between 1925 and 1935, for residences, skyscrapers, hospitals, offices, furniture and interiors. 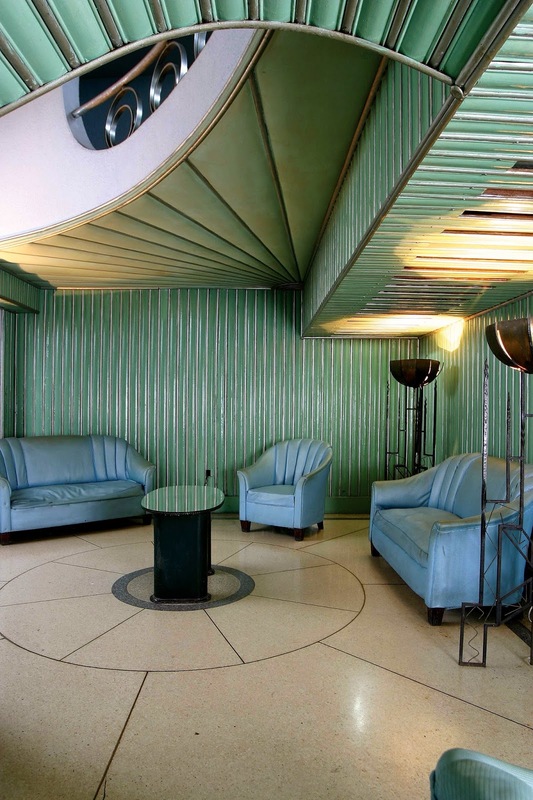 This is the essential guidebook to a particular Cuban Art Deco—reminiscent of Miami in its earlier days—that still today looks fresh, seductive, and the essence of cool. 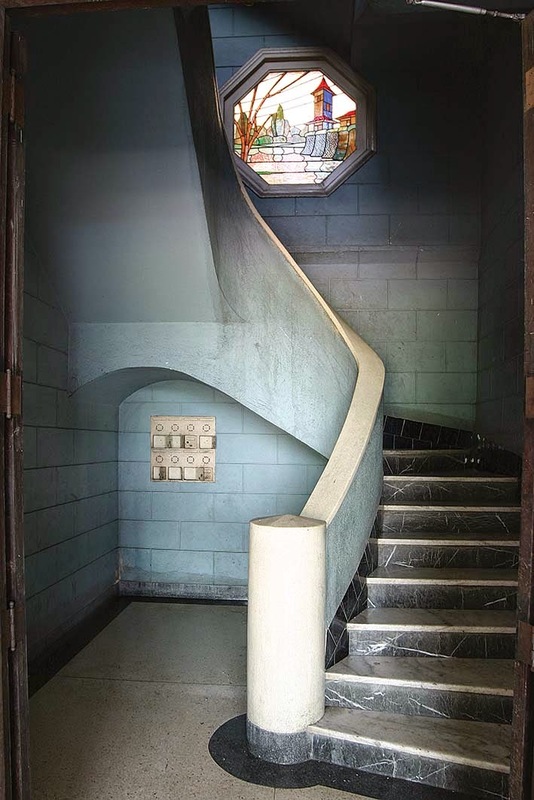 ‘Havana Deco’ by Alejandro G. Alonso, Pedro Contreras, and Martino Fagiuoli, is a tribute to Havana's architectural gems of the 20s, 30s, and 40s, the heyday of the world Art Deco rage. 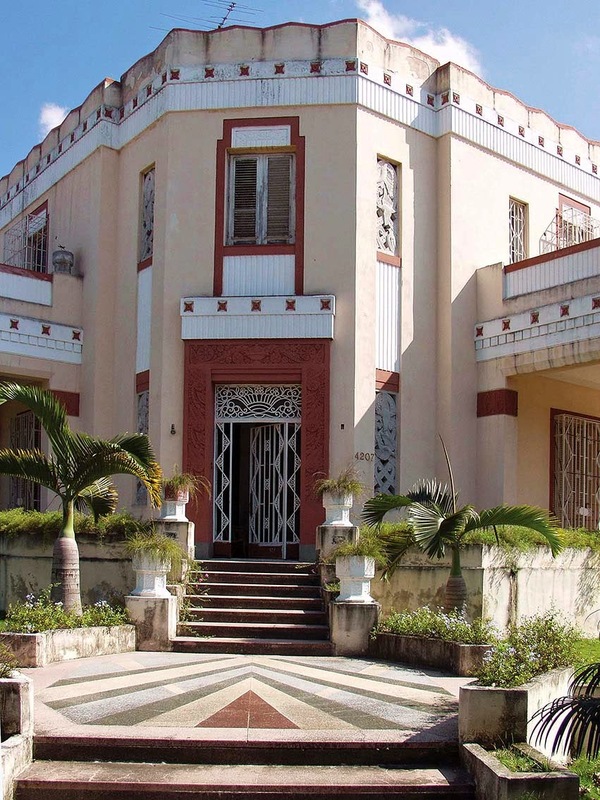 Havana put its own spin, and Deco is sultrier and lusher in Havana, jazzed up, with Afro-Cuban elements especially in its photography, painting, and graphic arts. Decorative motifs including tropical fruit, birds, arabesques‹are Latinized, and Deco structures are often flanked by (very un-French) palms and banana trees. 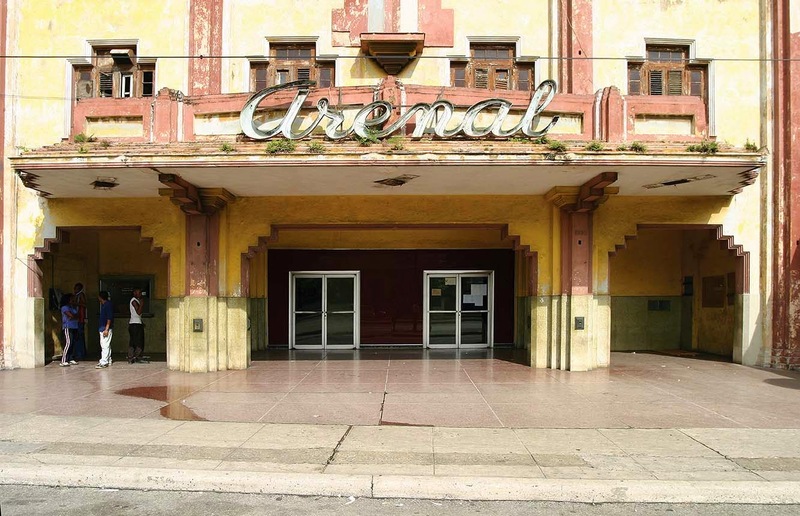 Alonso, Contreras, and photographer Martino Faguioli offer a testimony to the need to protect and restore Havana's Deco past. 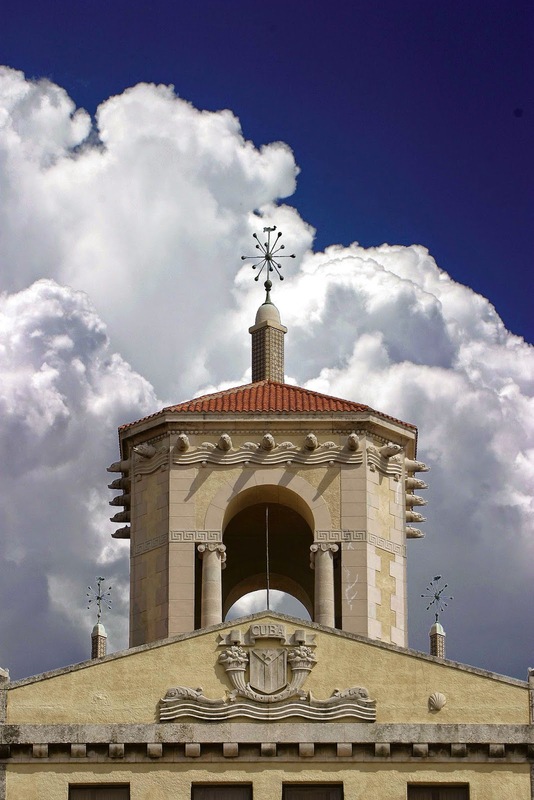 Habana Vieja was named a UNESCO World Heritage Site in 1982. 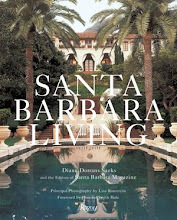 Until the day when everyone can see these gems firsthand, this lovingly photographed and written book offers a guided tour. Travelers to Cuba should add this guide to their luggage (or copies of its pages) and use them as a treasure hunt, to seek out hauntingly beautiful and mysterious traces of a glamorous pre-Castro past. Co-authors Alejandro G. Alonso and Pedro Contreras both work in Cuba and offer a very insider view. 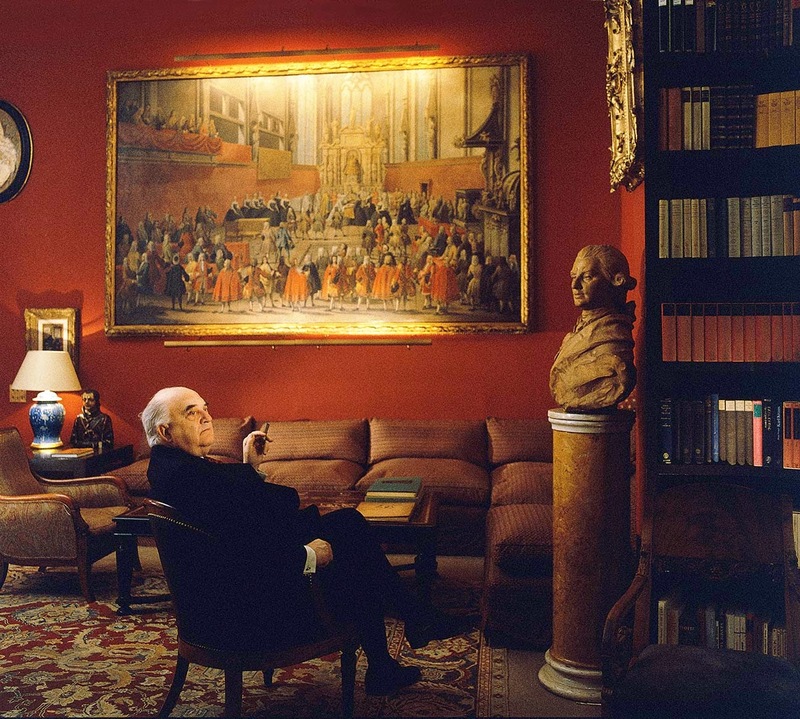 Martino Fagiuoli is a well-known Italian photographer. In 1990, a vacation in Cuba marked the beginning of his love affair with the Caribbean island and led to the publication of several books, including ‘Casas y Cosas de Cuba’, an anthology of architectural styles; American Dream Car in Cuba, a record of the period autos circulating throughout the island; and ‘Isla Grande’, a journey in Cuba. All images here are copyright, and are used here with express permission of the publishers. With thanks. 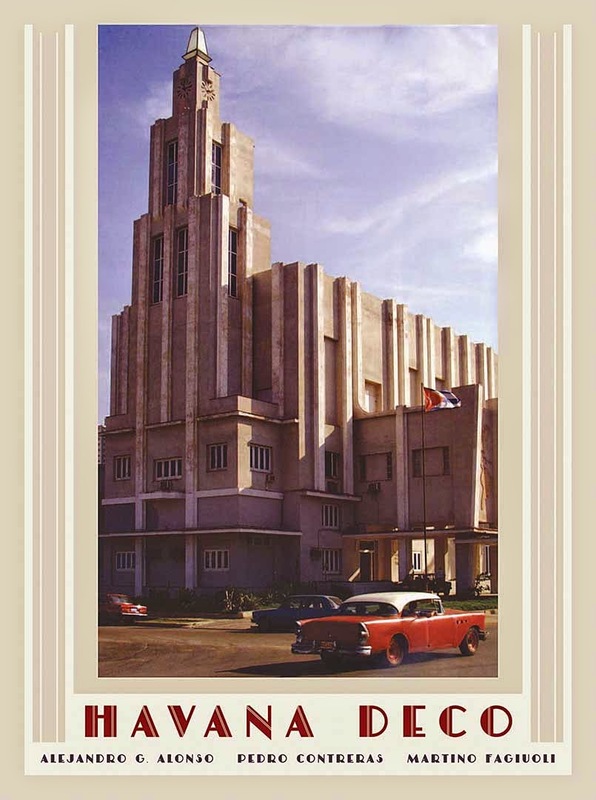 ‘Havana Déco’, copyright © 2007, 2003 by CV Export S.a.s., Divisione libri. Images here all used with permission of the publisher, W. W. Norton & Company. 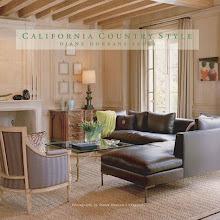 Stunning publications, all Diane. Hempel's is especially intriguing to me!! 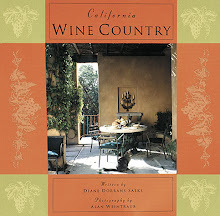 A beautifully written guide Diane. I didn't know there was a Mr.Bennison! Of course, I'd seen the fabrics everywhere when I started learning about décor. 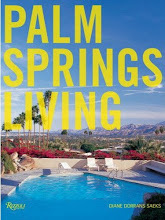 So interesting that his work was foundational to Michael Smith's. There is something very layered and cultivated over time about the latter, so I must get the book of the former and educate myself on the original greats. Always a treat to read anything you write - it is done so elegantly and deftly. You must start sending me postcards so I can get a weekly dose of your writing and your travels. Rothschild, paisley to batik, as well as my fave, the Palampore designs. One thing they offered exclusively then, were one of a kind handbags made from long ago archive remnants...stitched together by a Japanese woman ever so beautifully...the lining in silk or velvet to offset the exterior. Handles were banded leather with small fabric trim and wooden toggles for closure..I cherish each and every one of them. He was a genius, as well is Mr. Smith who went to Washington!